Terry Stutler was a great help with finding me my new truck. Found what I was looking for in the price range I wanted to be in. This is the second purchase we have made from him and wont be the last! Thanks Terry! 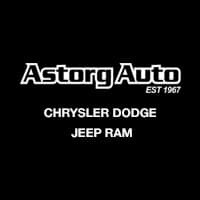 Great experience, very helpful staff and great service department. Great service and very professional. Thanks for everything. Had a great experience. My dealer Jason Jacobsen made it very easy to trade in old car and buy new.